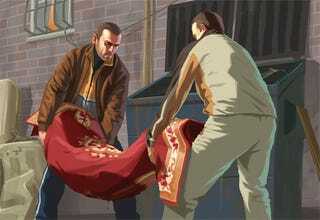 GTA IV's PS3 Problems To Be Fixed Via Firmware Update? GTA IV has some problems. Some are pretty great, but most have resulted in freezes and lock-ups, which aren't great. And while a recent patch has fixed some of those problems, it hasn't fixed all of them, leaving a lot of GTA IV players still in the lurch. If that's you and you own a 60GB PS3, help may be on the way, as a poster over on the official PS3 forums has received an email from Take-Two support, who apparently told him Sony are working on a quick firmware update for the console, which will hopefully fix the issues 60GB users (who were the first to report problems with the game) have been having. Take with salt, yada yada.